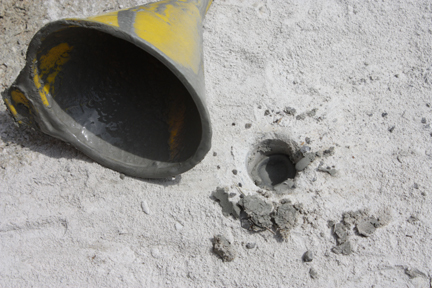 I used a rotary hammer to drill holes for the Ecobust. I spaced the holes 12-14″ apart. 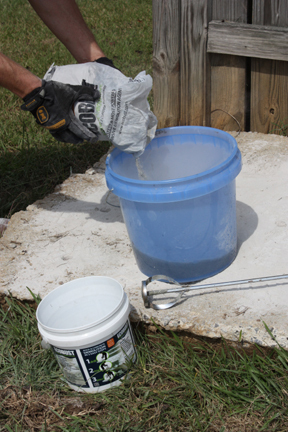 I had the chance to test the stuff on a concrete slab at my uncle’s house. 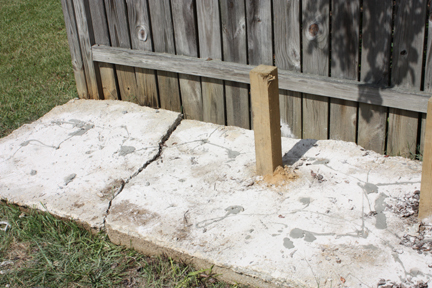 The slab was poured as a foundation to a children’s play set, the kids went away to college, and my uncle dismantled the play stet. 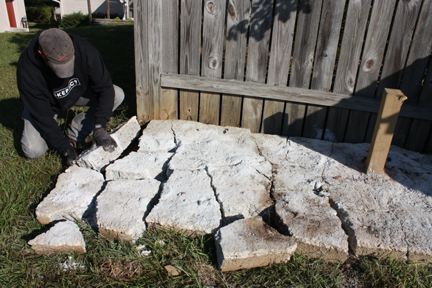 One of the neighbors had used their tractor to push the slab against a fence, out of sight from the front yard, but we still had to figure out a way to dispose of the heavy mass of concrete. 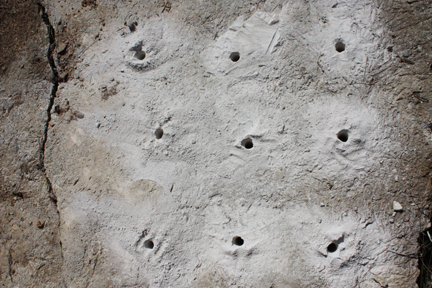 Here’s the slab w/ all holes filled. I covered with plastic and let it cure for 24 hours. 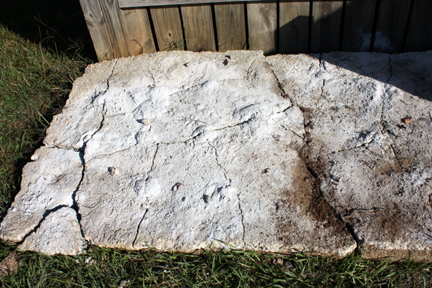 After 24 hours, the slab was webbed with cracks. 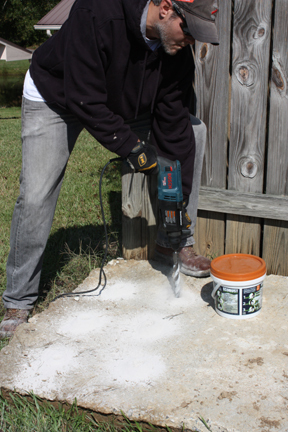 The expanding agent breaks apart the concrete using a quiet and controlled method, without a bunch of racket or flying shards of rock—perfect for removal of deteriorating porch steps, old footings and more. 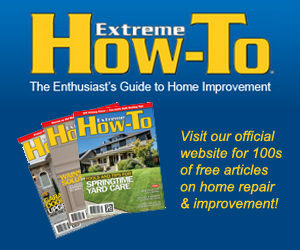 The demolition creates no dust, noise, vibrations or toxic fumes, which your neighbors will appreciate. Plus, it requires no special licenses or permits. You can check out Ecobust at www.ecobust.com.